When it comes to School Dances or Camp Socials, CHUCK BRADY PRODUCTIONS is the first and last place you need to search. Each year I entertain students of all ages from here, in Maine, and all over the world.Whether it's an Elementary School Social, Middle School Dance, High School Homecoming, Prom, Banquet, Project Graduation, or Fundraiser, I have the tools and experience to make your event fun for everyone. It starts with Music. New releases arrive weekly, covering all formats including Today's Top-40, Hip Hop, Urban, Alternative, Country, and more. Even International Formats are represented. All Music releases are clean radio station edits. I am keenly aware of Today's Music, and concerns regarding "lyric content" in the songs Students are listening and dancing to. I work closely with School Administrators, and staff to make certain that all guidelines regarding appropriate behavior are met. The Music is packaged with a sensational Light Show, guaranteed to attract the attention of everyone attending. The wide variety of Lighting illusions will compliment any theme you have planned. The show includes simple Mirror-Ball Lighting, to "LED", Lazor, Intelligent Lighting, and more. The Light Show is updated frequently. Planning is a big part of any event. All too often, not enough time is available to plan the Dance, leading to an event that doesn't end well. If you've had problems in the past, I will be happy to assist you. There is a Science to making a School Dance successful, and I know the right approach. Most of my regular Schools have used my services for more than 10 years, and book dates well in advance to insure availability. As for new clients, I am willing to meet, and discuss your needs and concerns. 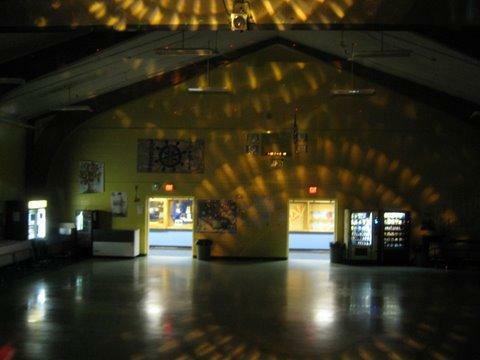 Most School Dances and Socials range from 2.5 to 3 hours. My prices will accommodate your budget. Rates are extremely competitive, whether it's a single Dance, or multiple events. I offer Multiple Booking Discounts, as well as, reduced pricing for Weekday afternoon Dances. (Friday's excluded). My active Schools book as much as 6 to 8 months in advance, as soon as their Planning Calendar is complete. Dates fill fast. By selecting CHUCK BRADY PRODUCTIONS you never have to worry about last minute arrivals or lack of preparation. I arrive two hours before the start of your event. This insures time to set up, test all equipment, and address any last minute surprises. Being prepared will lead to a successful and "stress free" Dance or Social. Want more information? Let's talk. You will be delighted with the services I provide. Thank you very much for being the DJ at our October 15 home Coming Dance! We were pleased with your services and will definitely use your company in the future. The feedback has been nothing but positive. Hope to see you in the near future! Thank you for Dj'ing the dance. We loved having you, heard nothing but praise and it was glad to have a new DJ.